The Alta Vista Hardwood Floors Collection 7.5? wide wood planks are beautifully hand sculpted & lightly wire brushed. The contemporary to traditional style comes in a wide range of modern colors that will suit any lifestyle. 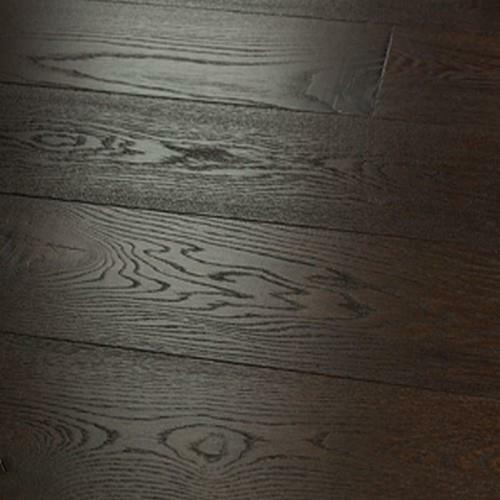 The Alta Vista hardwood floors collection is finished with Hallmark’s NuOil® which employs a revolutionary new technology. The finish has unique performance characteristics and durability that make it a great choice for someone who wants the visual character that only oil can provide. Oil finishes have been used for centuries on floors and furniture. NuOil® uses proprietary technology in the application of numerous coats of oil finish in the factory that make it the industry leader in wear-ability and stain resistance in oil finish. Due to the unique hybrid multi-coat technology of NuOil®, it is not necessary to apply an additional coat of oil at time of installation. That can be reserved for a later date when it becomes desirable to refresh and renovate the floor.